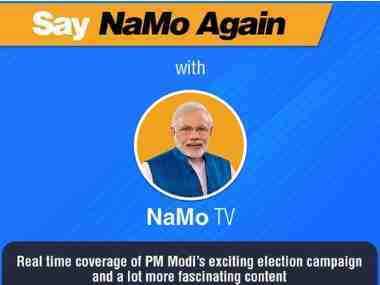 For a leader who altered India's electoral map by leading the Bharatiya Janata Party (BJP) to successive historic victories post the May 2014 general elections, there is very little that is recorded or narrated. 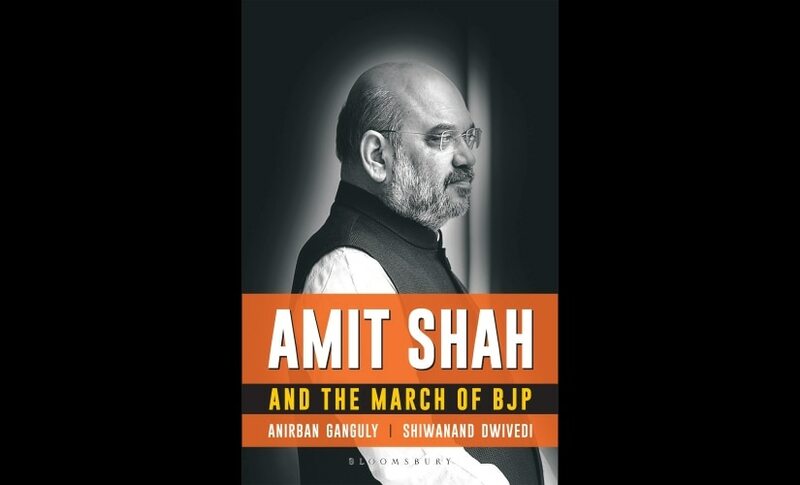 Anirban Ganguly and Shiwanand Dwivedi's Amit Shah and the March of BJP narrates the personal and political journey of the national president of the largest political party in the world, captures the ideological world that shaped him and gives an account of the party that he is leading and shaping today. To the political worker, the observer and to anyone even remotely interested in Indian politics, irrespective of their profession or political leaning, especially since the unfolding of Indian politics in the summer of 2014, this is an exploration of the political life and journey of one of its central characters. Amit Shah and the March of BJP is published in India by Bloomsbury. The following is an excerpt from the book. Amit Shah’s arrival in UP in 2013, as national general secretary proved providential and turned the hope of forming a government in Delhi by winning UP into a reality. However, it was also true that Amit Shah’s knowledge about UP in the initial days, before this, was akin to the knowledge that leaders of Dravidian parties in Tamil Nadu would perhaps have of the politics of a state like Kashmir. He was practically unaware of UP’s political parties, its society and the role and behaviour of castes in the state’s complex political arena. For Amit Shah, the expert in micromanaging elections, UP was a tough challenge. The party and its workers in the state, faced with continuous defeat and organisational failure had turned despondent. Shah had a few niggling questions when he surveyed the scene in the state. Why was the party in such a condition in the state? The more he tried to free himself from the question, the more did the matter seize him. Trying to alter the situation in the state would be like trying to erect walls on a foundation of sand, but despite this Shah was determined to work for a massive turnaround for the party in the state. He took up the challenge head on. It was September 2010 and Amit Shah was on his first visit to Varanasi. At that time he was neither the party’s national president, nor its general secretary and he had no connection whatsoever with UP. His sole identity then, in those crucial years, was that of a Gujarat BJP MLA and a former state minister who led a secluded existence in Delhi because of a direction by the Supreme Court. The same evening, having attended the sacred Mangala Aarti of Lord Vishwanath, Shah joined the Ganga aarti like any other ordinary devotee. Later, that evening, he was to undergo a strange experience while walking along the timeless bank of Ganga and looking at the ripples. Shah felt strange ripples rising within himself, these were waves of thoughts, of a deep inward rumination of which he had no inkling, it was a state of being which he had never experienced before. A cycle of certain fundamental questions on the civilisational, spiritual, religious and defining spirit and dimension of the sacred and immortal city of Varanasi began spiraling within him. Certain questions began haunting him: Why is this immortal city in such a state of degeneration? Is the lap of Mother Ganga only meant to dump the dirt that others generate? Is it the fate of these Ghats to be forever infested with flies and garbage? Ganga is not merely a river, she is the giver of life, a mere look at her dissolves sin, she is the lifeline of our society. What have we done to her? She needed to be saved. Is it the fate of this eternal city of spirituality to be forever assaulted by neglect and corruption in the name of development? It was an experience that left a deep imprint on his psyche. After all what had happened to this state? To this city? Shah was agitated, the misery appalled him. Shah had no inkling of the future. There was nothing at that time that bound him to Kashi (Varanasi). He had no elections or electoral politics in mind at that point in time. In fact, his mind was far removed from these. There 187 was no possibility then of Narendra Modi becoming the party’s prime ministerial candidate. Yet Shah’s heart had hitched itself to the city, the thought of its plight was gnawing at him from within. It was as if he had to repay a debt to the city of Kashi. Shah told one of his confidantes, ‘As soon as I get a chance, I will do something for this city and this state. 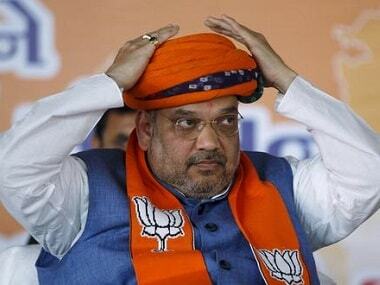 Seeing the condition of the party, Shah had come to the conclusion that it had to be liberated from a leadership Shah’s ‘Mission UP’ 188 Amit Shah and the March of BJP which was becoming irrelevant and lacked a base, and in its place a new leadership base would have to be created. The backward castes which were at the forefront of this polarisation also needed an effective leadership in order to bring about an actual social change on the ground. A new organisational structure would have to be built at the booth level and the focus and strategy should be not on winning elections but on winning booths. The agenda of Hindutva would have to be linked to social engineering. It is with the threads of these elements that Shah tied the knot of his resolve for winning UP, ‘Uttar Pradesh Sankalp’. He knew well that the road to Delhi passed through Lucknow. By June 2013, the ineffective and confused UPA 2 was moving towards completing its term. The goals that Shah had in mind for the state were about to change the trajectory of Indian politics. Sitting at the then dilapidated party office in Lucknow, Shah got busy drawing up strategies and battle plans that would eventually have effects which were then beyond the imagination of his competitors and adversaries. When Amit Shah visited UP on 12 June 2013, he had less than a year left for the mega elections of 2014. Views and counter views were flying thick and fast about Shah’s inexperience of UP politics, with many doubting whether he would be able to spearhead Narendra Modi’s campaign. Shah’s personality unfolded along with his political training. It would be interesting to mention here that Shah's active association with politics began in 1977, to be precise, when at the age of thirteen he had set out to campaign and stick posters for the formidable Sardar Patel’s daughter and sometime secretary, Maniben Vallabhbhai Patel (1903-1990), who stood for elections in protest against the Emergency and Indira’s excesses. Shah’s eyes were set on his target like Arjun’s in the epic Mahabharata was stuck on the bird’s eye at which he had to aim his arrow. A target of recruiting full-time workers for every booth was set and completed. A communication channel through these workers was put in place. They were directed to be in daily contact Shah’s ‘Mission UP’ 192 Amit Shah and the March of BJP with the core team at Lucknow and to continuously provide inputs and feedback from the ground. In each assembly segment, groups of workers were formed. 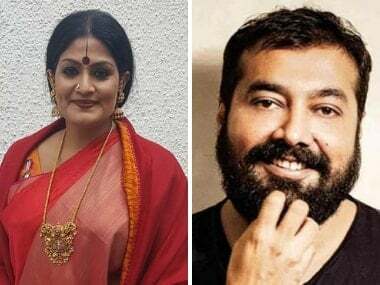 When the results of the Lok Sabha elections were declared on 16 May, by winning seventy-one seats from the state, the BJP had achieved an unparalleled feat. It had polled 42.3 per cent of the votes, which was 24.8 per cent more than the 2009 figure. Amidst all the euphoria and praise, one question that was repeatedly asked was how did Amit Shah so accurately analyse the situation in UP and feel its pulse just within a year? In fact, without wasting a single minute, Shah had visited almost all fifty-two districts as soon as he had taken over the reins in UP, travelling for 142 days at a stretch. 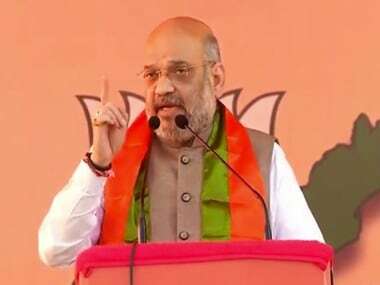 Travelling about 93,000 kms, Shah drew up a detailed contact and communication campaign for booth workers across all the Lok Sabha seats in the state.